If you were here, you'd never believe this bread came out of a bread machine. Seriously. If it wasn't for the hole in the bottom of the loaf where the paddle was embedded, no one would know. It's that good. It's a little chewy in the crust, a little dense, the way a good rye is, and really, really good. 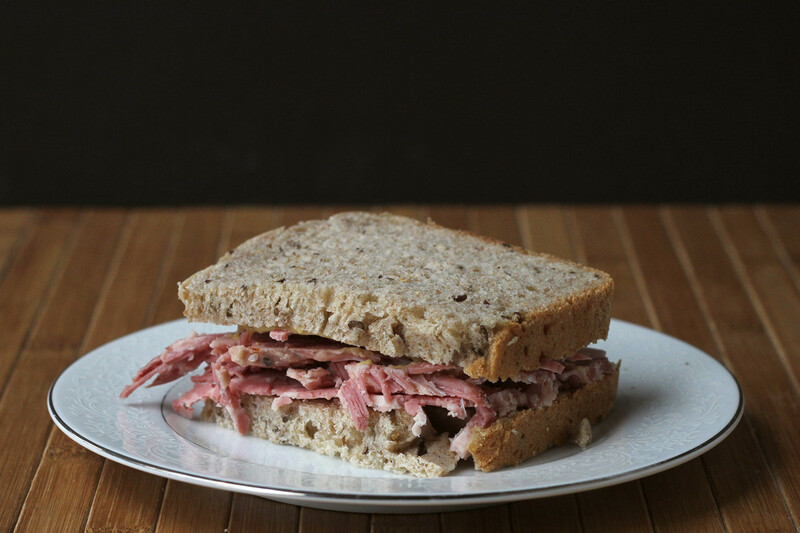 I made this bread specifically for corned beef sandwiches, but I might admit to eating a few slices with just a little smear of butter. And right after the first loaf was gone, I made its twin. 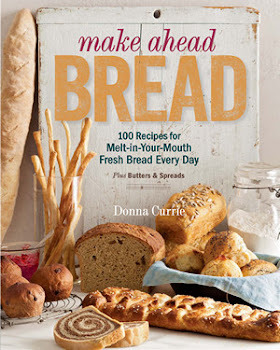 You might think it's weird that I have a bread machine , considering I wrote a cookbook all about bread. But the truth is that I use that bread machine pretty often. When I've got recipes I need to test, interviews I need to do, deadlines looming, and I want toast in the morning, using that bread machine for a quick loaf of bread makes an awful lot of sense. I've made enough bread in the machine to know that I'm always going to get a decent sandwich loaf - and that's what I make most often. Sometimes I experiment, but usually don't go too far from my standard recipes, because I know they won't fail. But I don't expect expect the machine to turn out something stunning. Sometimes the results are better than I hope for. But this one was ... way better than that. 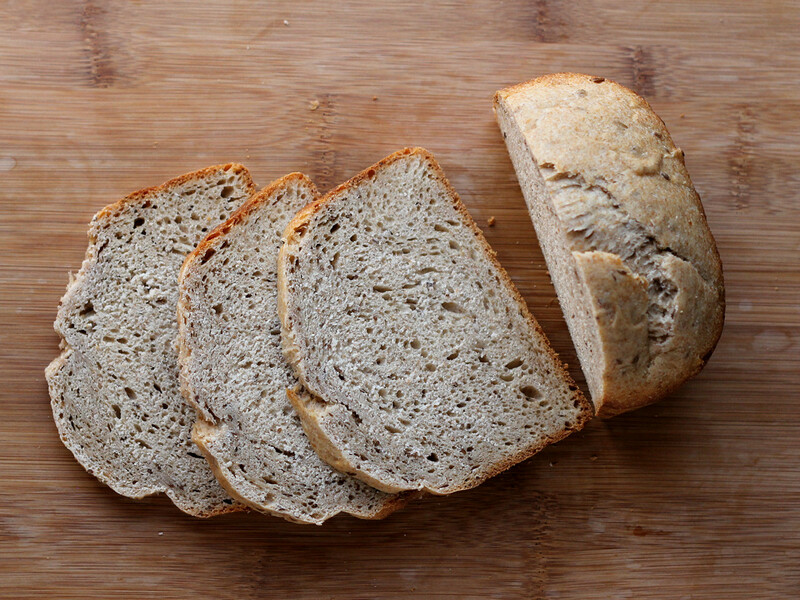 Place all ingredients in your bread machine, in the order suggested by the manufacturer. Press appropriate buttons for a standard loaf. 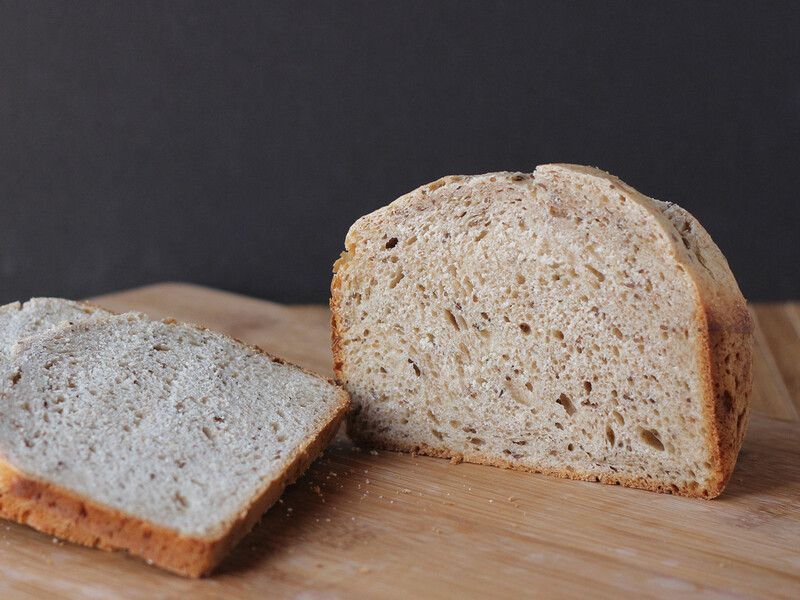 When the bread is done, remove it from the bread machine and let it cool completely before slicing. Seriously. It needs to cool. But it's well worth waiting for. Especially if you've got left over corned beef. Or ham. That would be good, too.